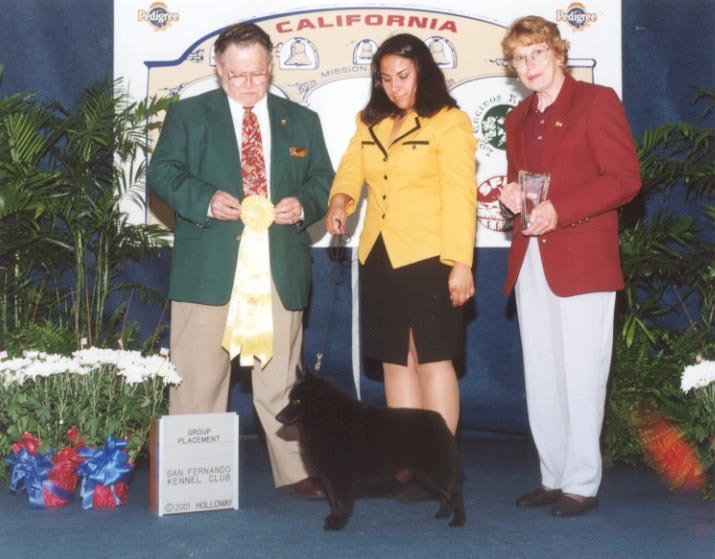 Trapper is my first Schipperke. 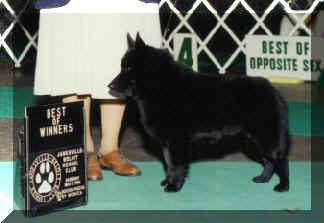 I got him from Amy Gossman "Dante's Schipperkes". Amy has been a great help with giving me info about grooming, showing and other tips about Schipperkes. Trapper is OFA Good, eyes, & thyroid tested normal. Above Lisa Navarrete & Trapper. Trapper is living with Lisa in California now. Lisa & Kathy Navarrete are his new co-owners.